For tamarind water , soak the tamarind in water . Then take out the starch from it . Add dry roasted cumin powder , salt , dry roasted dry red chili powder, little sugar or jaggery , chopped cilantro . 1. 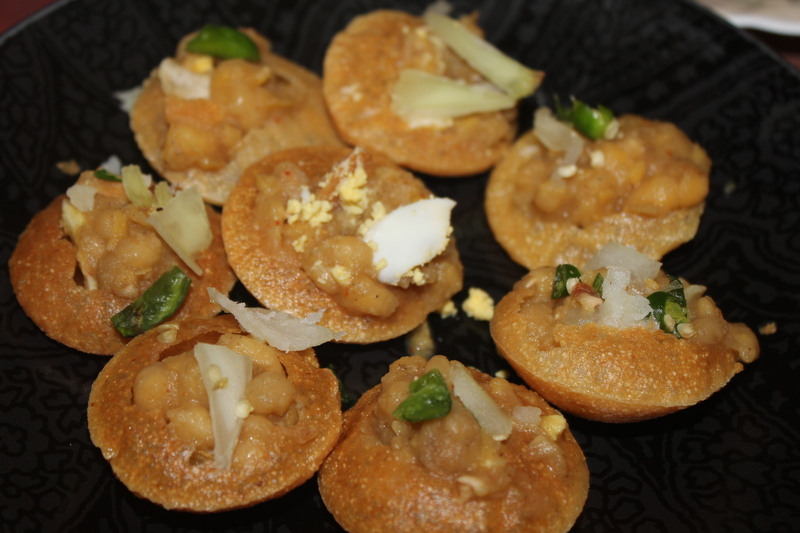 Soak the chotpoti daal in water overnight with baking soda . Baking soda helps to soften daal easily . Bt if you have good quality daal , you can skip that part . But don’t forget to soak in water .This is must . Wash the daal cery well . 2. Boil the daal until creamy, little mushy . 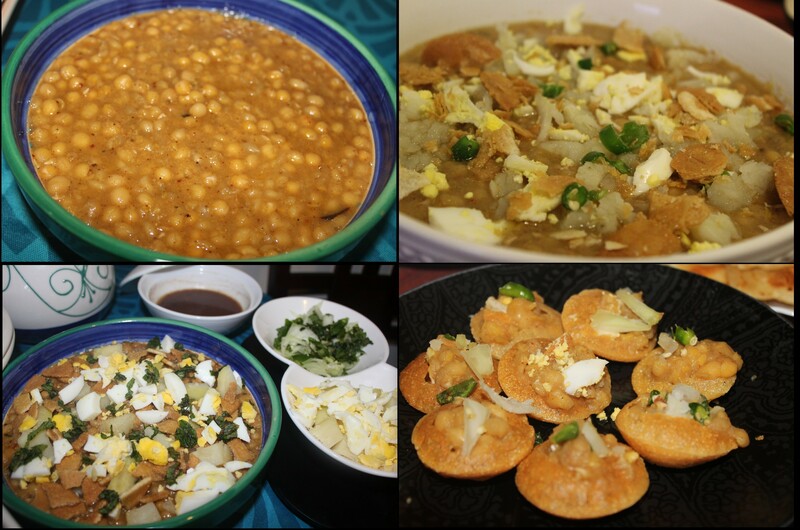 If your daal is not creamy , chotpoti won’t taste better . Not only boiled , you need to have the thickness and starch coming out from daal . Don’t add salt at this point as it prevents the daal to be boiled properly . Those who doesn’t have slow cooker can use pressure cooker too . Faster !!! 3. When it is done , add the ingredients mentioned in Part B. Depending on your taste , you can add the dry roasted masalas more or less . 4. Don’t mix the ingredients mentioned in Part C until you serve . I always mix them with little amount of chotpoti served , as these ingredients will cause bad smell if kept for longer . Better always serve separately . Mix all the ingredients except tamarind water . Stuff inside the fuchka shell . Serve with tamarind water . !. Many complains that their chotpoti gets darker after adding the masalas . For that , please dry roast every dry spice separate so that they are not burnt . Not every spice are roasted at the same length of time . So It’s better to dry roast them seperately , specially the cumin and dry chilies . If they are black and burnt , the chotpoti would be black . And if they are not nicely roasted , the flavor won’t come out .